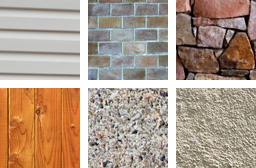 Searching for an affordable pressure washing service that is professional, reliable, and friendly? 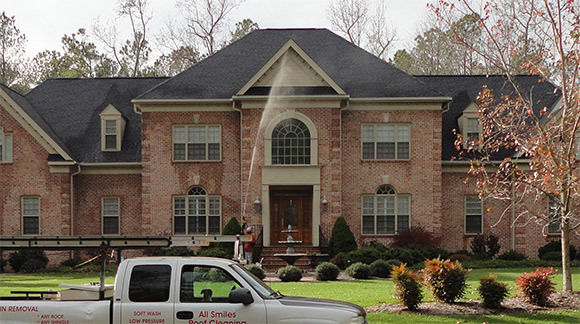 All Smiles Roof Cleaning, LLC provides comprehensive pressure washing services for residential and commercial exteriors; including roof cleaning, gutter cleaning, deck cleaning, exterior furniture cleaning, and much more. Call us today at 804-514-3898 or 757-634-0112, or use our Free Service Estimate form to find out more about our pressure washing services in Williamsburg and Richmond. The terms “pressure washing” and “power washing” are basically the same thing and are used interchangeably in most regions of the country. In both processes, a variable pressure water-mix spray is used to clean a surface. However, some pressure washing folks insist power washing uses hot water, whereas pressure washing relies only on the force (pressure) of the water stream. At All Smiles Roof Cleaning, we use the terms “power washing” and “pressure washing” as meaning the same thing. Now that the pressure/power washing controversy is out of the way, call us at 804-514-3898 or 757-634-0112, or use our Free Service Estimate form to talk to us about our pressure washing services.